The Royal Hotel. Traill St, Thurso KW14 8EH, Scotland. A former Coaching Inn, the Royal Hotel in Thurso, is one of the best-equipped hotels on the North Coast of Scotland. The Royal retains a warm and friendly atmosphere, which help to make it one of the most popular hotels in the area. The North Coast of Scotland is still relatively undiscovered and yet it is surprisingly easy to travel there, the hotel makes an excellent base for trips to the Orkney Islands and the ferry from John O’Groats takes only 45 minutes. Find the best deal, compare prices and read what other travelers have to say at TripAdvisor. Park Hotel, Melvich, Thurso KW14 7YJ, ScotlandThurso KW14 8RE, Scotland. Find the best deal, compare prices and read what other travelers have to say at TripAdvisor. Castle Arms Hotel, Mey, Thurso KW14 8XH, Scotland. Find the best deal, compare prices and read what other travelers have to say at TripAdvisor. Melvich Hotel, Melvich, Thurso KW14 7YJ, Scotland. Find the best deal, compare prices and read what other travelers have to say at TripAdvisor. The Pentland Hotel, Princes Street, Thurso KW14 7AA, Scotland. Find the best deal, compare prices and read what other travelers have to say at TripAdvisor. 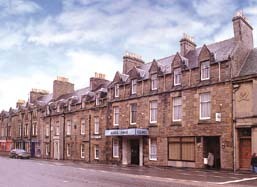 Minotel Station Hotel, 54 Princes St, Thurso KW14 7DH, Scotland. Find the best deal, compare prices and read what other travelers have to say at TripAdvisor. St Clair Arms Hotel, Main Street, Castletown, Thurso KW14 8TP, Scotland. Find the best deal, compare prices and read what other travelers have to say at TripAdvisor. Forss Country House Hotel, Thurso KW14 7XY, Scotland. Country house dating from 1810; in 20 acres of woodland, 100 yds from the falls on the river Forss and picturesque water mill. Find the best deal, compare prices and read what other travelers have to say at TripAdvisor.